Once you have chosen your artist and appointment date, we require a non-refundable deposit to hold your spot. This deposit is to hold your appointment time with your artist, and will be carried over to the day of your tattoo appointment. It will be carried over each tattoo session and will be taken off the total cost of your final tattoo session. All deposits are non-refundable and non-transferable. This means don’t put it down if you aren’t sure about getting tattooed because it will not be refunded back to you! Under no circumstance will you get your deposit back. If you cannot make your appointment date you can re-book and transfer your deposit twice ONLY by giving us a minimum of 72 hours notice of your appointment time (by phone or in-person only). If you reschedule with less than 72 hours notice of your appointment time (by phone or in-person only), or if you reschedule more than twice, you forfeit your deposit and will be required to provide a new deposit to book in the future. If you cancel your appointment or decide not to get tattooed, you forfeit your deposit. If you no-show and want to book another appointment, you forfeit your original deposit and you will have to put down a new deposit for your new appointment. You will be given a 15 minute grace period on the date of your appointment. If you are later than 15 minutes with no phone call in advance, you forfeit your deposit AND your appointment time will be given to the next person on our waiting list. Please note that if you are late with a phone call we may have to re-schedule your appointment (at your artists discretion). If you show up without valid government issued photo ID you forfeit your deposit and you will not be tattooed. If you show up for your appointment under the influence of drugs, alcohol, coercion, dares, or bets (or if you’re unprepared in other ways to have your body modification procedure done) you forfeit your deposit and you will not be tattooed. If you show up for your appointment and you are under the age of 18 (for all tattoos) you forfeit your deposit and you will not be tattooed. If you are unable to maneuver stairs, no worries as we can arrange to setup downstairs! Please let us know in advance. No, you may not bring your children with you to your tattoo or piercing appointments. Please ensure you have arranged childcare for the date of your procedure! Tattoo consultation: We are a custom tattoo shop – depending on what you’re wanting to have tattooed you will almost always require a consultation before booking your tattoo appointment. We must pre-approve all artwork that is to be drawn and tattooed; if we feel it will not translate to skin or it will not wear well over time we will not tattoo it. We stand by our artwork, so please understand if we say no to your exact idea. Tattoo design (Can I see it before my appointment?! ): Due to high volume and an extremely busy working schedule we are unable to show you your artwork before your tattoo session. As we are a custom shop, it’s your homework to choose which artist portfolio suits your style preference and once you’ve consulted with the artist you should feel confident that you chose the right artist for the job before deciding to book your tattoo appointment. It’s important when choosing an artist to tattoo you that you trust them! The artist will have a piece you will like ready for you on the day of your appointment (where minimal changes can be made, unless previously discussed with your artist). Your artist owns the right to their design and is not obligated to release it to you. Changes to tattoo ideas: Artists must be given notice (up to one week in advance depending on the size of the design). Changing your tattoo idea can effect your deposit and/or your appointment booking (at the discretion of your artist). We do not make appointment confirmation phone calls: It is your responsibility to remember your appointment date/time. You may call the shop anytime during business hours to reconfirm your appointment date if you forget and we are happy to re-issue you an appointment/deposit card if you have lost yours. Hands, faces, and fingers are generally not tattooed at Painted Lotus Studios due to the amount of touch-ups required (with a few exceptions- please inquire). 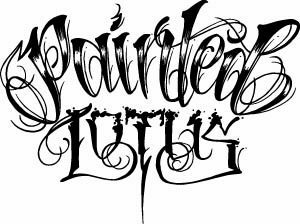 We do not tattoo anyone under the age of 18 (even with parental consent). 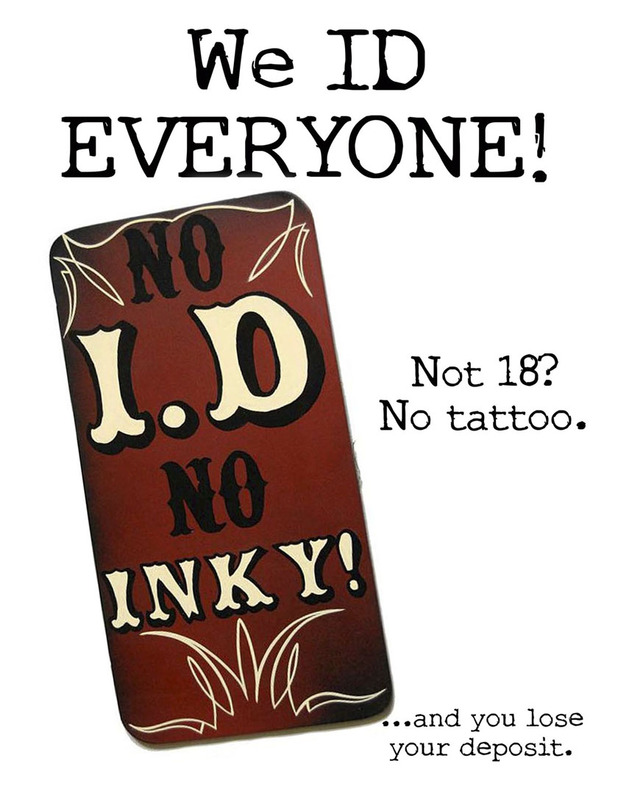 You must be 18 + with valid government issued photo ID to be tattooed at Painted Lotus Studios. No exceptions. We do not want you to forfeit your deposit! We would much rather tattoo you. If you have any questions, or are worried about our guidelines, please pop into the shop or give us a call!